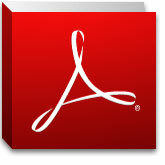 To read Music for Rhinos , you will need Adobe Acrobat Reader on your computer. To download Music for Rhinos , right-click (Windows) or Control-click (Mac) on the cover above and choose “Save Target As…” (Internet Explorer) or “Save Link As…” (Firefox). If you have problems viewing Music for Rhinos , see Adobe’s support site or contact us. There is so much more to the story of how Pearl Jam formed than has ever been shared. To uncover it, I interviewed Eddie Vedder, Stone Gossard, Jeff Ament, Matt Cameron, Chris Cornell and other key players, I dug up original 1990 Pearl Jam artifacts and hunted down rare audio, I triangulated dates and gathered every fact. To celebrate Pearl Jam’s 20th Birthday, I’m proud to present the fruits of over 10 years of exhaustive original research. Brew a pot of coffee, fire up your printer, and prepare for a long, engrossing read in unprecedented detail about the events of 1990, the year that a series of magically wild coincidences brought together the unlikely group of people that became Pearl Jam. Sure, you can print and read the whole PDF above. But here at TwoFeetThick.com, our print fanzine roots run deep. So if you would like a magazine-style limited edition version of my opus, “Music For Rhinos – 1990: The Making of Pearl Jam,” we will gladly send out free copies to the first 50 fans who ask.